The Mighty Quest For Epic Loot is the first free-to-play game from Ubisoft Montreal, the acclaimed studio behind the Assassin’s Creed and Splinter Cell franchises. This is a game with a terrific cartoon style and plenty of humor, but the most important feature is the dual gameplay. In The Mighty Quest For Epic Loot, the goal is to conquer as many castles as possible and keep ours well protected from enemy attacks. This way the player will get the essential resources to build his castle and populate it with creatures and traps. 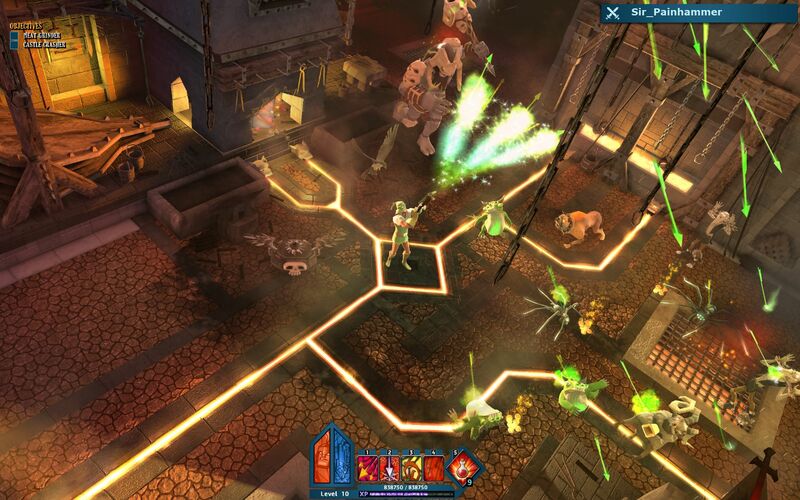 There are two main phases – looting and defense. 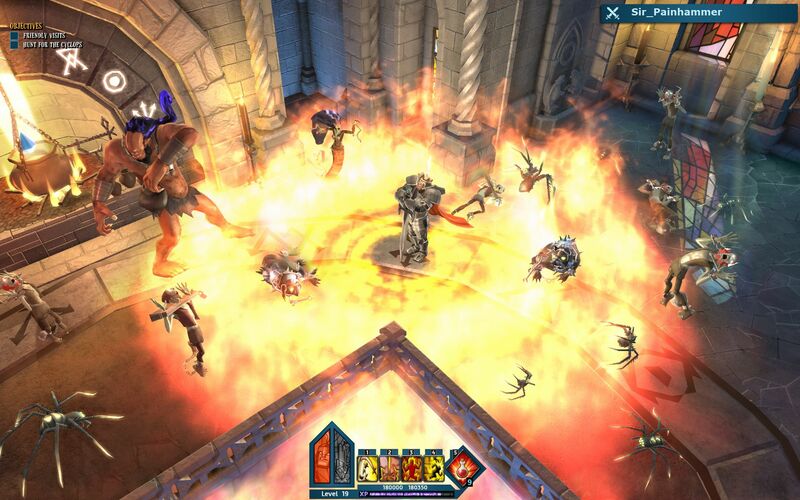 In the first one the player uses his character (archer, knight or mage) to invade the enemy castle and enter a Diablo-like gameplay where he has to use his weapons and spells to defeat several creatures, overcome traps and loot the treasure rooms. There are over 500 individual pieces of loot to collect, a myriad of community built castles to explore and many more added each day, the challenges will always be enticing. 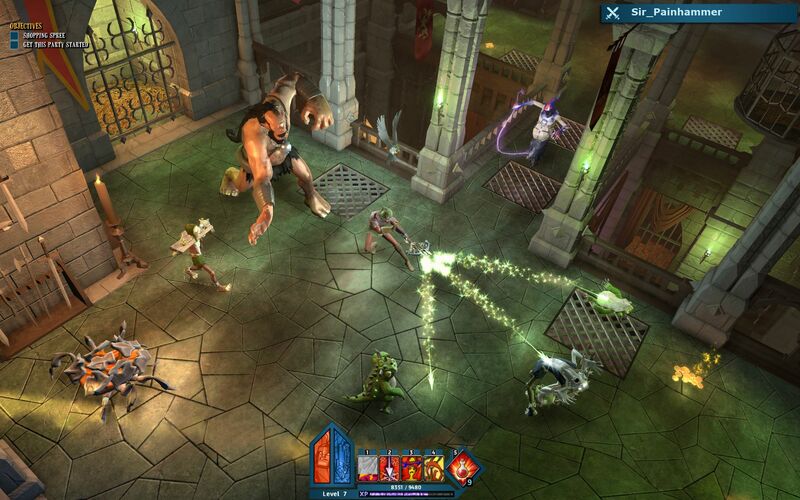 In the defense phase, roles are reversed and the player has to defend his castle, not unlike Dungeon Keeper, creating the castle layout and placing the rooms and then using his resources to fill it with all kinds of deadly creatures, from spiders to cyclopses and many more minions. The more heroes fall prey of your castle, the more rewards you’ll get. 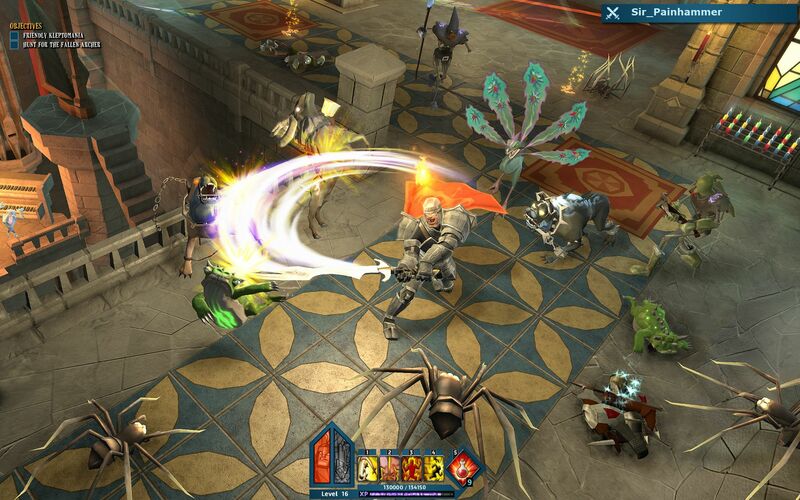 The Mighty Quest For Epic Loot is an inventive free-to-play MMORPG, one with a big community focus that result in a lifespan to make other MMO games green with envy.